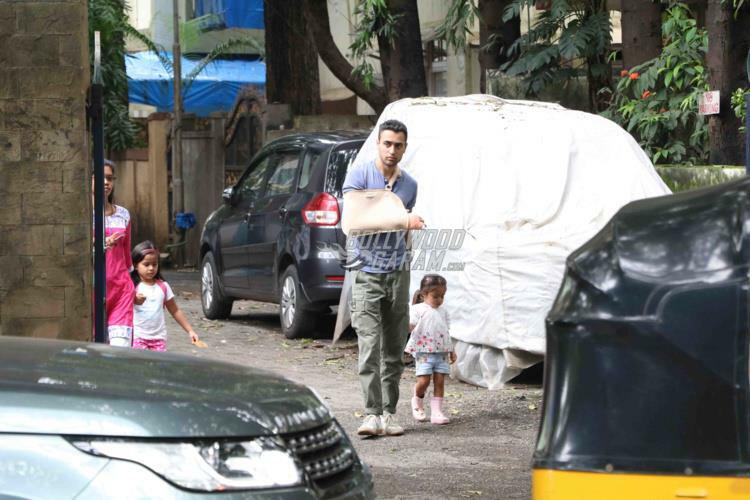 Actor Imran Khan was photographed in Mumbai along with his wife Avantika and daughter Imara on July 25, 2017. 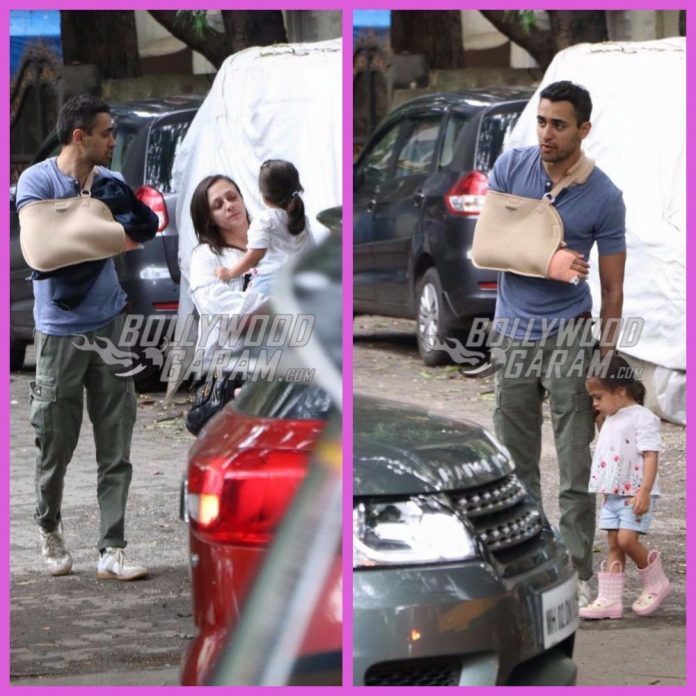 The Break Ke Baad actor looked injured as he was seen wearing an arm sling while wife Avantika was seen carrying daughter, Imara. 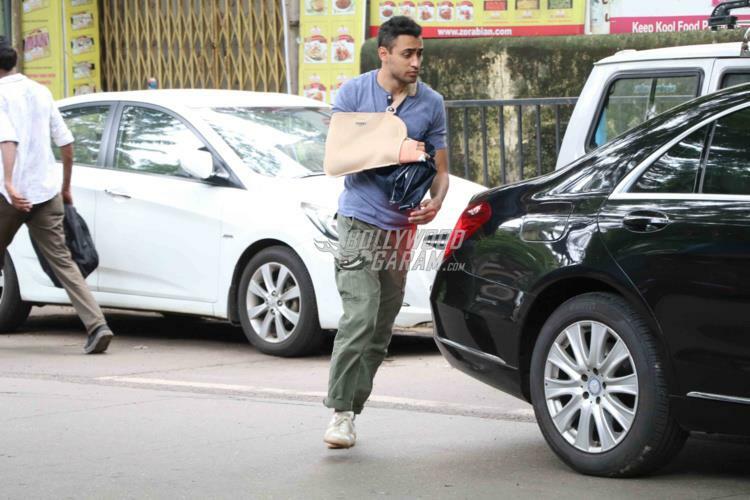 Imran looked cool in a casual blue t-shirt and green cargo pants while Avantika was seen in white top and black pants. 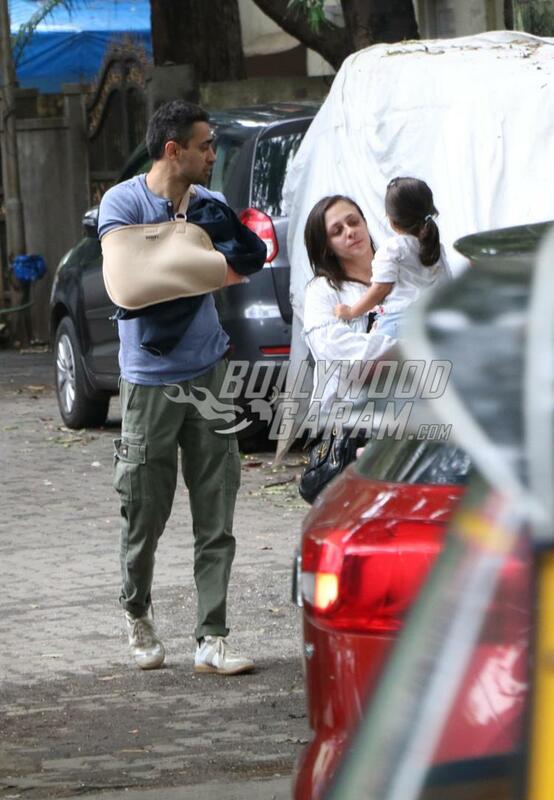 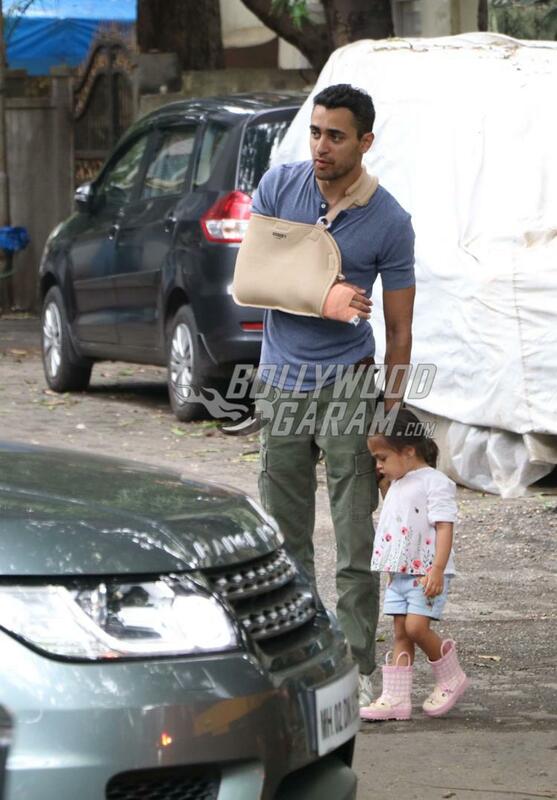 The Delhi Belly actor was injured yet was seen carrying daughter Imara’s stuff while Avantika carried the little one. On the work front Imran was last seen in the film Katti Batti opposite actress Kangana Ranaut in 2015. 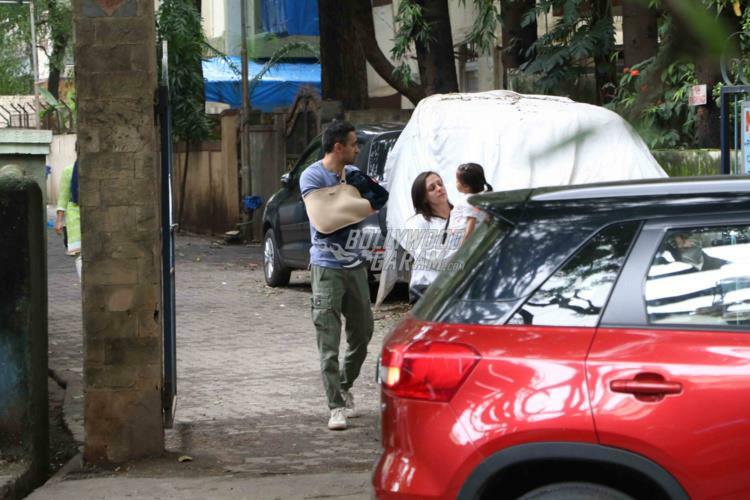 The film was directed by Nikhhil Advani but could not impress the audience and failed to do a good business at the box office. 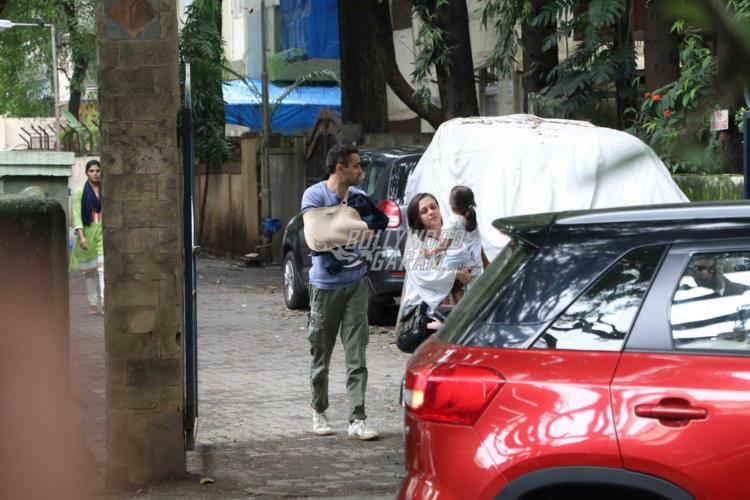 Imran had reportedly met Atul Kasbekar who had turned down his script and has not been able to find anyone backing up his story.